Last winter’s pride and joy of Lapland Hotels, a Game of Thrones themed snow village, will be recreated this winter. Once again, the SnowVillage, featuring iconic moments from the HBO® hit series Game of Thrones and built in collaboration with HBO Nordic, will rise in Lainio near Ylläs. Lapland Hotels is expecting record growth in visitors, especially in the number of international tourists, for the winter season starting at the end of October. Ylläs has served as a site for Lapland Hotels SnowVillage for 17 years. Traditionally, the annual themed SnowVillage has drawn inspiration from Lapland’s nature. Built from snow and ice, the SnowVillage has included, for instance, ice sculptures, decorated snow suites, an ice restaurant and an ice bar, as well as an ice chapel. Last winter, the Lapland Hotels SnowVillage was created, for the first time in cooperation with HBO Nordic, based on scenes and characters of the hugely popular Game of Thrones® television series. “The idea of a Game of Thrones® implementation was perfect as a theme. Right from the start, we knew that we would be getting an extremely professional team of ice sculptors and snow builders, who would achieve an accurate and ambitious result,” says Janne Pasma, Operations Manager at Lapland Hotels SnowVillage. “We are eagerly looking forward to seeing what kind of snow village will be built this winter. Last year, the snow village raised customer expectations to a high level, and we definitely want to deliver on this concept this year, as well,” he continues. 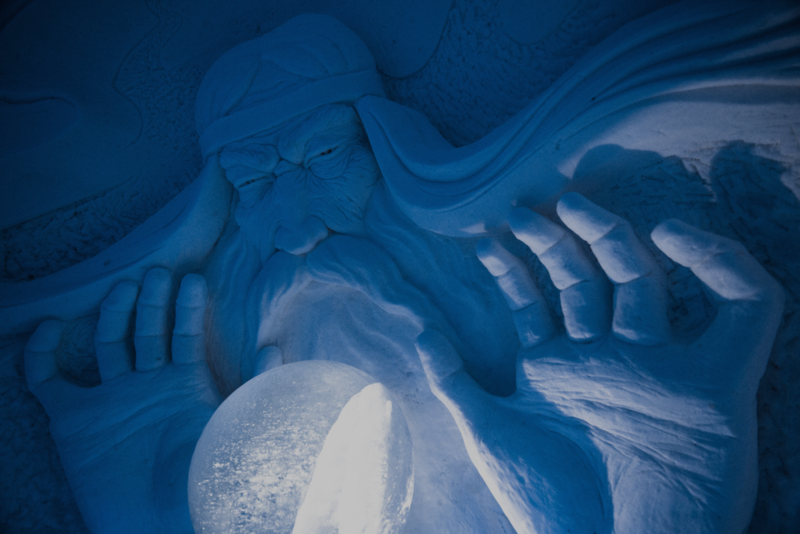 Last year, the Game of Thrones® theme made the Lapland Hotels SnowVillage a hugely popular international success. The village was given wide attention in various media and over 2,000 articles were published about it worldwide, with a potential total reach of 3.5 billion. In social media, the SnowVillage reached over 400 million users globally. “The huge publicity that the Lapland Hotels SnowVillage received markedly increased interest in Lapland’s tourism. The number of enquiries has risen, especially from international visitors, and nearly 100 foreign media representatives contacted us. We are looking forward to a large number of new visitors to Lapland this winter,” says Hanna Heikurainen, Marketing Director at Lapland Hotels & Lapland Safaris. The Game of Thrones® themed Lapland Hotels SnowVillage completed in November 2017 was created in collaboration with HBO Nordic. The snow village was built on an area comprising a total of 20,000 square metres, including hotel rooms, ice and snow sculptures, an ice restaurant and cocktail bar, as well as a chapel. Lapland Hotels is the largest privately owned hotel chain in Finland, comprising 18 hotels with 2,100 rooms and apartments, as well as restaurant seating for over 9,000 guests in Ylläs, Levi, Saariselkä, Rovaniemi, Olos, Luosto, Kilpisjärvi, Pallas, Hetta, Tampere and Oulu. The hotel chain also has ski resort activities in Ylläs, Luosto, Olos, Pallas and Rovaniemi, as well as the biggest Scandinavian activity company, Lapland Safaris.